They had to wait until the very end of the selection show to learn their fate, but the Huskers are heading to the NCAA Tournament. 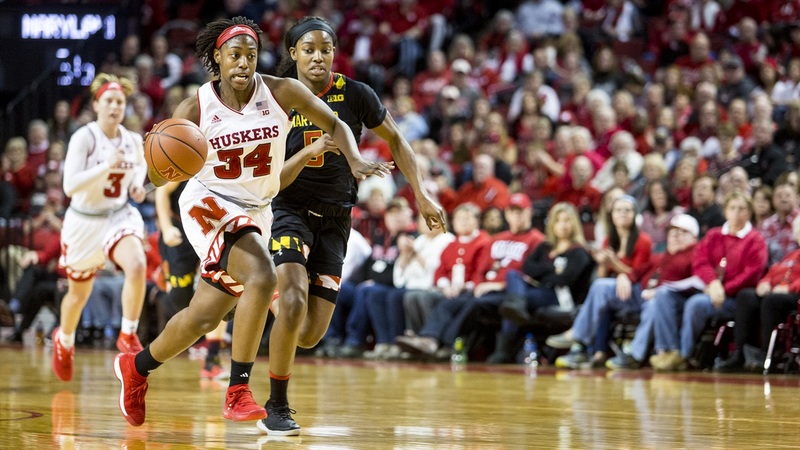 Nebraska (21-10, 11-5 Big Ten) made it into the final bracket announced, the Kansas City region, as a 10-seed and will travel to Austin, Texas, to face 7-seed Arizona State (21-12, 10-8) on Saturday at 2:30 p.m. CT.
A season ago, the Huskers finished 8-22, the worst record in program history, and at the bottom of the Big Ten. Now they’re dancing in Big Ten Coach of the Year Amy Williams’ second season at the helm. A key part of the turnaround has been the Huskers' success away from Pinnacle Bank Arena. A year ago, the Huskers were 0-10 in true road games. This season they finished 9-2. The Huskers are on the Mississippi State (32-1, 16-0 SEC) side of the bracket, as the runner-ups from a season ago earned the top seed in the region. Maryland (five-seed), Iowa (six-seed) and Creighton (11-seed) are all also on the Huskers’ side of the bracket. Nebraska lost all three games it played against the Terps this season. Should Nebraska advance past Arizona State, it would take on the winner of No. 2 Texas and No. 15 Maine in the second round.